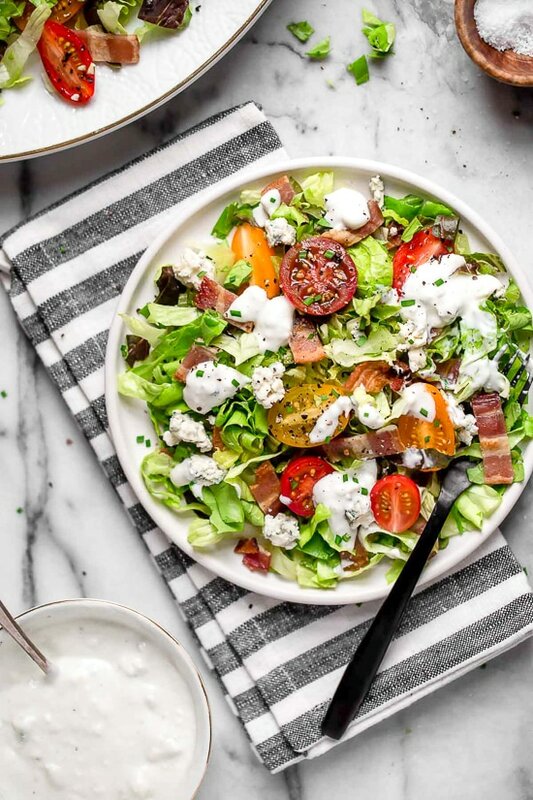 Classic wedge salad meets chopped salad in this easy side salad dish made with lettuce, bacon, tomatoes, blue cheese and chives with a light, Homemade Blue Cheese Dressing. 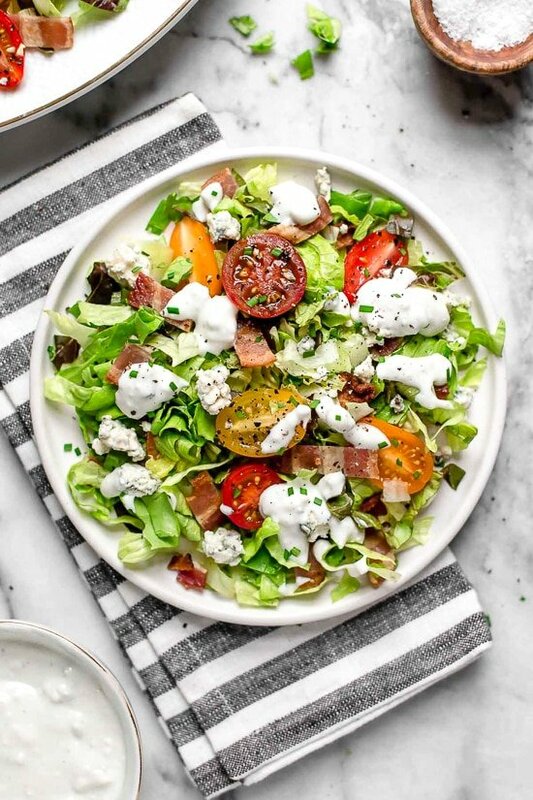 I love a good wedge salad, but I find myself chopping it up so I can get all the elements on my fork at the same time, so why not just serve it chopped! And since I’m chopping it, I can use butter or Romaine lettuce in place of Iceberg, although any lettuce would work here. 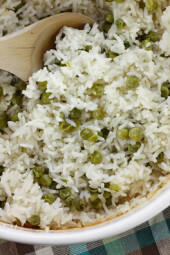 Add some grilled chicken, shrimp or fish for an easy meal or serve this as a side dish with steaks, pork chops, etc. 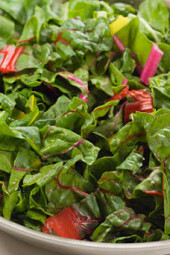 Try this with red leaf or green leaf or lettuce. 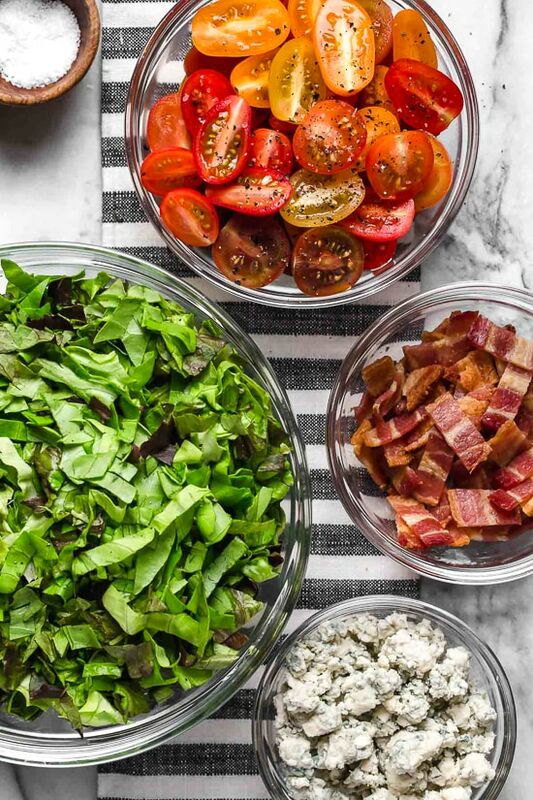 If you don’t eat pork, you can use turkey bacon or omit it altogether. 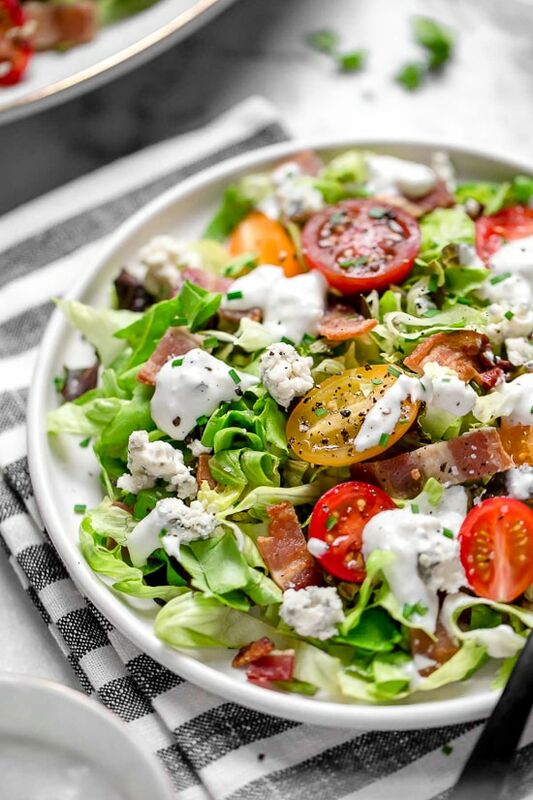 If you’re not a fan of blue cheese, you can use Gorgonzola cheese. 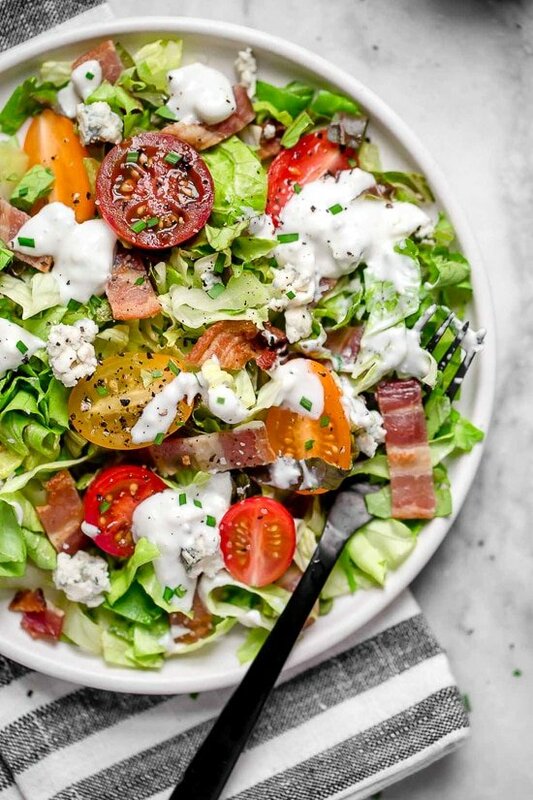 You can replace the Blue Cheese Dressing with homemade Ranch Dressing. 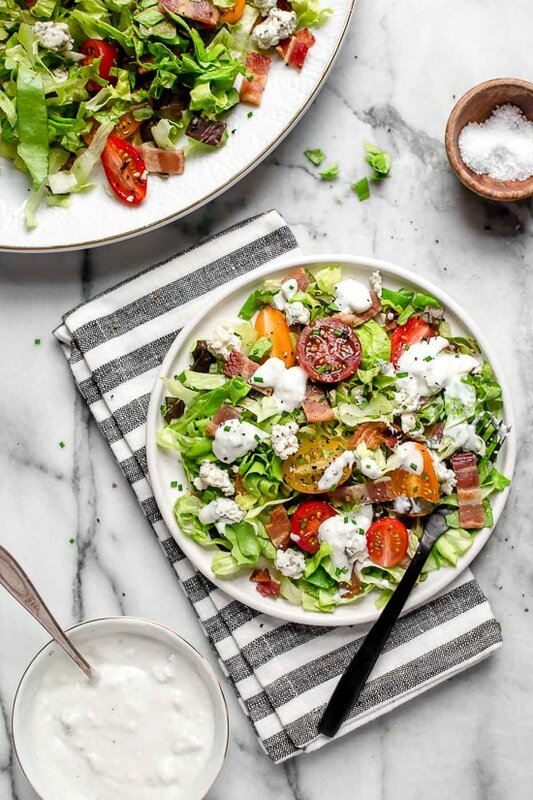 Classic wedge salad meets chopped salad in this easy side salad dish made with lettuce, bacon, tomatoes, blue cheese and chives with a light homemade blue cheese dressing. Place the lettuce in a large platter, top with tomatoes, crumbled bacon, blue cheese and serve with blue cheese dressing. 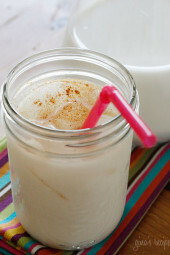 Easy and tasty – another hit! Thank you! Loved this salad. The blue cheese dressing is so good! 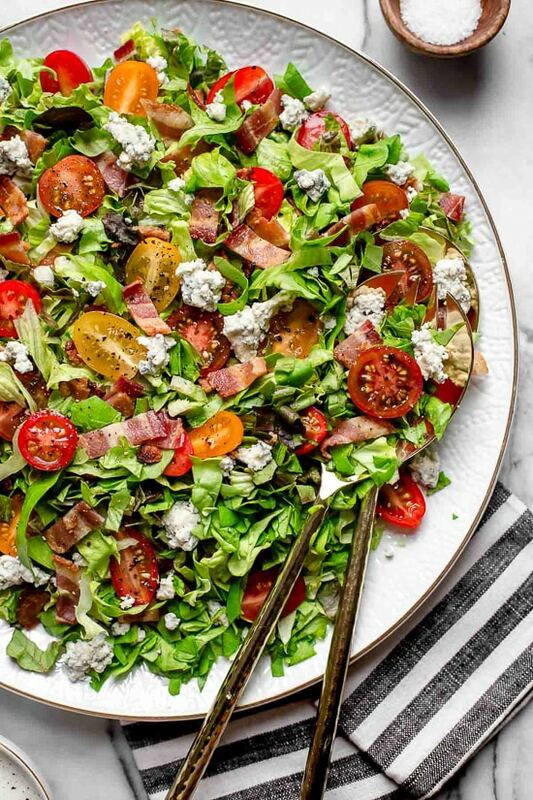 The salad looks gorgeous! But I have to ask … where did you find those napkins? I’m obsessed with stripes!